St. Valentine\'s day is a day for people who love each other. And it doesn\'t matter what season is in your yard - winter, spring, summer or autumn. There is no time or season limits for your love. Not only people like this holiday, but animals, too. St. Valentine\'s day is a day for people who love each other. And it doesn\'t matter what season is in your yard - winter, spring, summer or autumn. There is no time or season limits for your love. Not only people like this holiday, but animals, too. So we are giving new remarkable multiscenes screensaver Just For You! 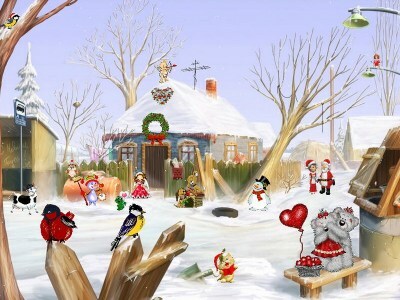 Install it on your computer and enjoy beautiful scenery with animated characters, giving each other their hearts full of love. nfs Xmas Reflection free screensaver from http://www.newfreescreensavers.com will remind you about the coming holidays. Download free screensavers. No spy/adware, virus-free. It's safe to install and run.